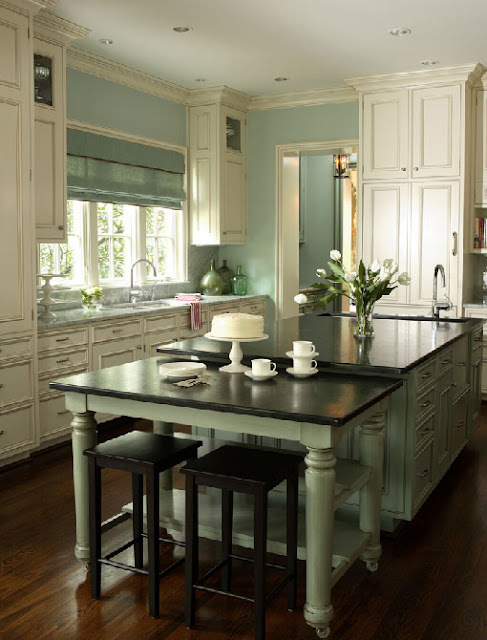 here is a little sneak peak into the inspiration for our new kitchen. totally going to be my favorite room in the house! loved the sea glass colored island! in SW Conservative Gray, the paint I chose for our kitchen. can't wait to show you the real thing in a few more months!